With so many synthetic products in our homes, isn’t it time to go natural? Here is a list of 7 natural organic vegetable fibres that last longer, are sustainable, ethical, chemical free and are used in our Eco Max Brushes to replace plastics in the home. 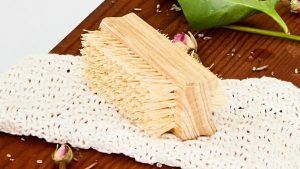 Coconut Fibre – one of nature’s little gifts. The fibre comes from the husk of the mature coconut, so is a waste product from harvesting coconuts and what’s not to like about coconut. Is a species of cactus Agrave Sisalana, although originally from Mexico this species has been successfully grown in many parts of the world. In Tanzania and Kenya it has become an important sustainable crop as it can be grown throughout the year, even on marginal land and in semi-arid areas, and does not require fertilizers and pesticides making it ideal for poorer areas where agriculture is the mainstay of the economy. Jute – soft and gentle, yet strong. The fibre is extracted from the bark of the Jute plant and is one of nature’s strongest vegetable fibres. Jute plants are easy to grow, have a high yield and have little need for pesticides and fertilisers. In India and Bangladesh some 4 million farmers earn their living and support 20 million dependents from jute cultivation, while hundreds of thousands work in the jute manufacturing sector. Tampico – absorbs 65% more water than plastic. A species of cactus Agrave Lecheguilla, it grows naturally in only one region of Mexico and cannot be commercially grown. So although it is commercially harvested and processed predominately by hand it is a naturally grown crop. Has wonderful water retaining qualities – it will absorb 65% more than plastic bristles. Arenga Fibre – the colour of chocolate and just as nice. The fibre comes from the hairy fibrous trunk of the Arenga Pinnata palm tree which only grows in Indonesia. In the wild the tree will die about 2 years after the palm has flowered at 5 – 15 years of age, depending on the altitude it is grown in. We are developing a range of bottle brushes and kitchen cleaning brushes using Arenga fibre as well as men’s range of body brushes as the fibre is a beautiful natural dark black brown colour. Palmyrah – tough enough to live out doors. Palmyrah is produced from the base of the palm frond stalk of the Palmyrah Palm tree. The fibre is from young palms, 5 – 10 years old and 12 leaves per year are cut. The palmyrah fibre is ideal for stiffer outside brooms and we use it mixed with coconut fibre for our Christmas Trees and Wreathes to keep their shape and for its long lasting properties. In Sri Lanka the Coconut Palm Tree is known as the King of all trees. Every part of the tree in used from the timber, fruit, fronds and flowers. The leaf stalk, mid rib of the palm frond when stripped of the leaves is used to make a traditional broom, Ekel Broom. This broom is an amazing outside broom which easily rakes without tearing up the runner in the grass and is a new addition to our Eco Max range. Sustainable – they are carbon neutral: absorbing the same amount of carbon dioxide that they produce. Ethical – all these fibres are products of agriculture in developing countries so by choosing them you are supporting developing countries and helping to fight rural poverty. Renewable – natural fibres are a renewable resource. Healthy – natural fibres do not have the chemicals found in manmade fibres and do not contribute to micro-plastics and plastic fibres in our waters and food chains. A double-sided nail brush, handmade from rubberwood and natural tampico fibre which is found in cactus. Tampico holds 65% more water than plastic, allowing you to scrub your nails without the need for running water and it will not bend and flatten. A great natural coconut fibre dust brush. The plant bristles sweep instead of flicking, they won't ball on the ends and are easy to wash. The fibres won't melt with hot coals so is great for fireplaces. Coconut is biodegradable, naturally anti-bacterial, vegan, chemical free and contains no micro plastics so is safe for your family and the planet. Soft natural, unbleached jute fibres have rounded ends and will not scratch non-stick pans or delicate items. Replace the plastics in the kitchen with natural fibres that do not add micro-plastics to our waterways and food chain. Wash in soapy water and place in your dish rack to dry. Eco Max Brushes are Vegan, biodegradable and sustainable.